Although it’s easier for a healthy adult to run a potassium deficiency than take in too much potassium, it could be that you’re overdoing it. Reading the signs your body is giving you is important if you want to make sure that you’re getting just the right amount of protein, and not too little or too much. 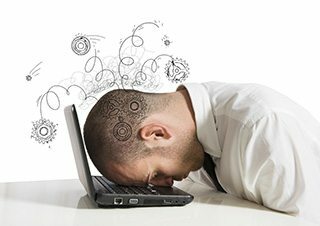 Ironically fatigue and many other symptoms of high potassium intake are also the same as not getting enough. If you feel fatigued, and you know you’re getting more than enough potassium, it could be the case that you’re getting too much and have overcompensated. 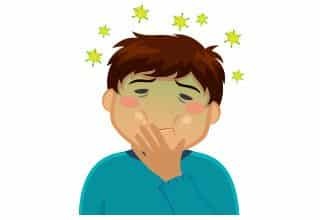 Fatigue might have been the original reason why you started increasing your potassium, but if you find yourself still fatigued after boosting your potassium it could be that your fatigue isn’t caused by potassium at all, but is from a different problem. Consult with your doctor to find the root cause of your symptom. Cutting Down on Potassium: If you eat a balanced diet you should naturally get just the right amount of potassium without having to consciously think about what you’re eating. That’s because there are only so many fruits and vegetables high in potassium, and your potassium requirement of 3.5 grams a day is going to require several servings of these types of foods, something health experts have been saying for decades. Here’s another symptom of both a potassium shortage and a potassium overabundance. You’ll know you’re getting too much potassium if you’re eating a healthy diet but still have numbness in your hands. It could also be the case that your symptom is not from potassium overload at all, and further testing can get to the bottom of things. 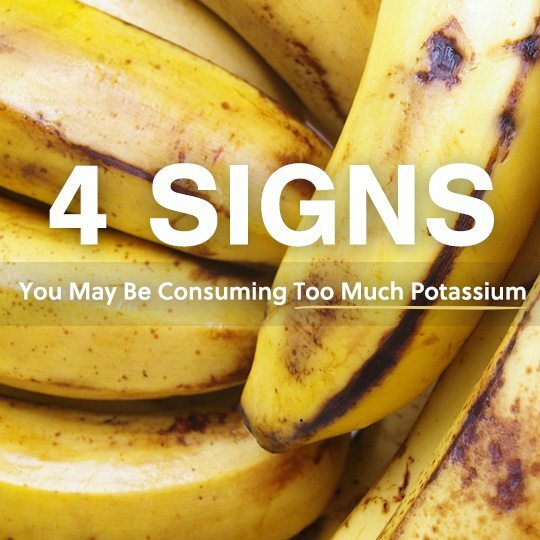 Potassium not only acts as a mineral, but also an electrolyte, and too little or too much can have an adverse reaction in the hands, experienced as a numbness or tingling sensation. 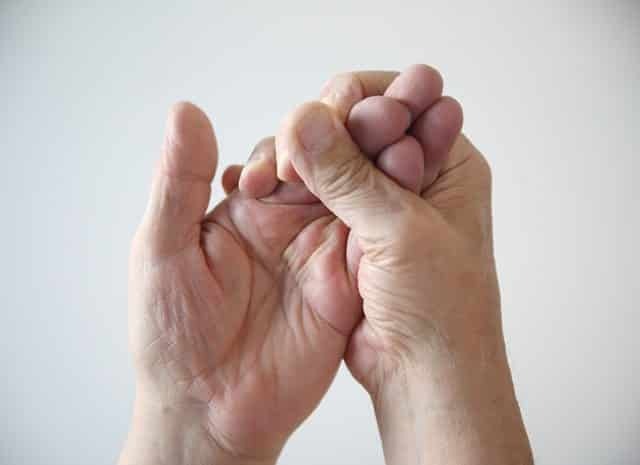 Many other conditions list numbness as a symptom, so if this is a recurring problem it’s best to see your healthcare professional to find out what the real problem is, so you can focus your efforts in the right direction. Cutting Down on Potassium: Make sure that you’re getting your potassium from all of your main meals, as well as your snacks. This timed intake will help your body assimilate the potassium you’re getting by not overwhelming it with high potassium foods all in one meal. Heart palpitations can be scary, and they may have their origins in too much or too little potassium. If you’ve been supplementing with potassium, or have increased your intake of foods high in potassium, heart palpitations could be a sign to scale it back. It’s important to meet your potassium requirement, but not to exceed it. Getting enough potassium will help keep you free from heart disease, so it’s a good idea to have your levels checked to see where you stand. It’s also smart to talk with your doctor about your heart palpitations to rule out any serious condition. Cutting Down on Potassium: If you’re taking potassium supplements, stop, or at least reduce the dosage until you see your symptoms go away. It’s better to get your potassium from food sources so that you don’t bombard your body with potassium, and it can utilize it better. This will also give your body other vitamins and minerals it needs, and could help with any symptoms. Here’s a symptom of too much potassium that likely is caused by taking a potassium supplement, or otherwise getting too much of a good thing. The goal is not to make up for years of not getting enough protein in an afternoon. Take it slowly and gradually introduce the body to adequate amounts of potassium. This is one symptom that can be hard to link to high levels of potassium. While it could be the case that you took in too much potassium, your nausea could be caused by a myriad of other possibilities. Look for other symptoms on this list in addition to the nausea for a higher likelihood of it being due to high potassium intake. Cutting Down on Potassium: Eating foods that are high in potassium is generally a good thing, but if you’re noticing that you’re getting too much, you’ll want to cut back. 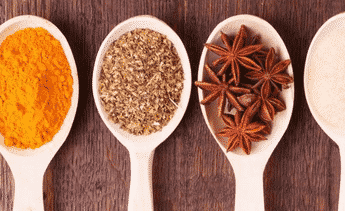 There are plenty of healthy foods that don’t contain much potassium, which will help you stay healthy and meet your nutritional needs without topping the charts on potassium. I have no clue if I’m getting to much potassium due to going to the ER twice in a row for bleeding while pregnant. They took to much blood and said I have low iron. Now drinking a breakfast essential with 460mg of potassium I might have had too much a day. It was my first pregnancy and I felt stupid not knowing I was a rh- blood type. Idk what to do I don’t want to back to the ER and they get upset that I’m back there for something else. Why do you think your getting too much. I took too much yesterday yikes supplements and low salt n coconut water don’t feel well today at all. Hope it passes soon as iv been in hospital way too much over this well that’s coz wasn’t treated properly in first place. This article needs to be edited to remove the word “protein” where it doesn’t belong. It was a bit confusing. Excess potassium intake should be balanced out with increased sodium take. They are the yin and yang, and need to be balanced to maintain corporeal harmony. I can’t figure out any way to decrease my sodium levels… it’s been causing swelling in my ankles and legs!! I’ve tried looking up how water is distributed through the body after ingestion to get a better understanding why I am retaining it, since I do consume plenty, but have found nothing that explains the process. I take potassium supplements to try to balance this out and hope that soon, the swelling will go down, but I know that it can take up to 5 days. Recently been drinking Odwella, bolthouse & naked juices, I’ve been trying to eat and drink healthier, so one a day. Lately I also started feeling my muscles are fatigued and heart beat off, numbness and upset stomach, also feels weird when breathing. I went to the hospital with what seemed like either a cardiac event or panic attack. They gave me an atavan, ekg, and xrayed my chest. I have been thinking about what is new in my life, diet or exposure. I am now attributing it to Potassium overdose. I’m going stop with the fruit drinks today and see if I can start to feel normal again. US NIH recommends 4.7 grams of potassium daily. My issue is that they suggest it is likely that one consumes that much from food – which is all well and good – but THERE IS NO UPPER LIMIT. My aunt, who was in her 90s and taking blood thinners (along with a host of other prescriptions) wound up in the hospital more than once for too much potassium – so it seems to me that either the recommended minimum needs to be revised downward, or a maximum needs to be stated! Is it just me, or does this seem a little idiotic? Especially when the consequences of too much potassium are so serious – like dialysis! (Unfortunately, none of the NIH websites let you leave comments, and the nutritionist I’ve consulted through the VA is – to be blunt – a moron. So I’m really just venting – thanks!) And I STILL don’t know how much is too much, beyond not consuming more than the recommended 4,700mg per day.